The Austrian conductor Martin Haselböck hails from a famous family of musicians. Following his studies in Vienna and Paris, and after receiving numerous prizes and fellowships, he gained an international reputation as an organ soloist, working with conductors such as Claudio Abbado, Lorin Maazel, Wolfgang Sawallisch, Riccardo Muti and many others. Leading composers including Friedrich Cerha, Ernst Krenek, Alfred Schnittke, Cristobal Halffter and Amy Gilbert have written works for Martin Haselböck and have dedicated compositions to him. He has released over 50 CDs as a soloist, including the important recent release of the complete works for organ by Franz Liszt on the NCA label. His recordings as an organist have brought many awards, including the Deutscher Schallplattenpreis, Diapason d’Or and the Hungarian Liszt Prize. In March 2011, alongside other distinguished organists such as Gillian Weir, Olivier Latry and Ludger Lohmann, Martin Haselböck performed in the gala concert inaugurating the new organ of Vienna’s prestigious Musikverein concert hall. Later in 2011 on the same instrument he performed the Hindemith Organ Concerto with the Vienna Symphony Orchestra and conductor Fabio Luisi. As Vienna Court Organist, Martin Haselböck’s immersion in the great repertoire of classical church music inspired him to establish the period-instrument Orchester Wiener Akademie. Since its founding in 1985, the orchestra has become recognised as one of leading ensembles of its kind, earning particular recognition for its performances of the Classical and Romantic eras. The orchestra’s regular series in Vienna’s Musikverein has become a highlight of Vienna’s musical calendar. They are regular guests of festivals, concert halls and opera productions around the world, and have released over 70 recordings, in repertoire ranging from Bach to the early 20th century. Their recent landmark CD series of the complete tone poems of Franz Liszt, the first on period instruments, has received unanimous critical praise and several awards. In 2014 Martin Haselböck established an important new concert series in Vienna, RESOUND Beethoven, performing the composer’s symphonies and other orchestral works with Orchester Wiener Akademie in the historical Vienna venues of their earliest performances. The series has become an enormous success, opening the 2015/16 season with three sold-out performances of the Ninth Symphony in the Great Redoutensaal of the Hofburg Palace. The series coincides with a new recorded cycle of the symphonies on the French label Alpha, including a recording of Beethoven’s music to Goethe’s Egmont, featuring the actor John Malkovich as narrator in a new English version by Christopher Hampton. Martin Haselböck now enjoys a busy career as a guest conductor with the world’s leading orchestras. He has conducted the Wiener Symphoniker, Leipzig Gewandhaus Orchestra, Deutsches Symphonie-Orchester Berlin, Dresdner Philharmonie, Zurich Chamber Orchestra, Hamburg Symphony, the Orchestra Giuseppe Verdi Milano, the National Philharmonic Orchestras of Spain, Hungary, Czech Republic, Estonia, Slovakia and Slovenia, l’Orchestre National de Lyon, Royal Philharmonic Orchestra of Flanders, and many others. In North America his conducting engagements have included concerts with the Los Angeles Philharmonic, Philadelphia Orchestra and the St Paul Chamber Orchestra, as well as the symphony orchestras of Pittsburgh, Washington, San Francisco, Detroit, and Toronto. He recently made his debut appearances with the Vancouver Symphony, Sydney Symphony, Malaysian Philharmonic and the Ulster Orchestra. Martin Haselböck is Music Director of the period-instrument Musica Angelica Baroque Orchestra in Los Angeles, performing a regular concerts in California and abroad. In 2007, with the combined forces of Musica Angelica and Orchester Wiener Akademie, he undertook a large-scale tour of Bach’s St Matthew Passion, giving 13 performances in Mexico, the USA, Spain, Italy, Hungary, Germany and Austria. 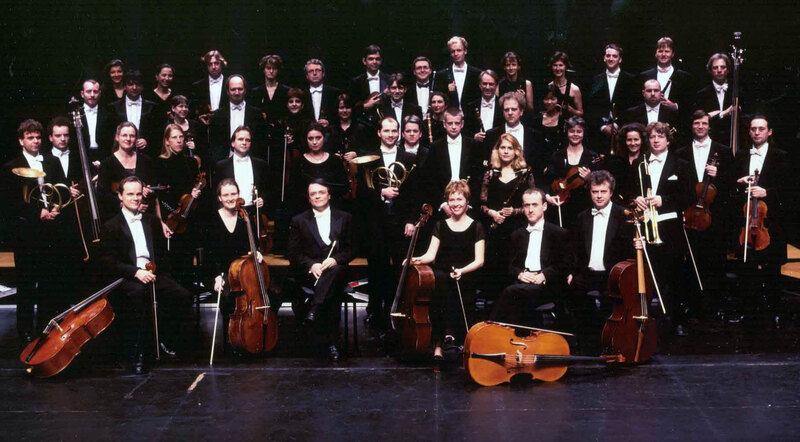 In May 2011 the orchestra made its Vienna debut with a sold-out performance of Bach’s Brandenburg Concertos. Martin Haselböck has enjoyed a distinguished career as an opera conductor since making his debut at the Göttingen Handel Festival. He was the first to stage new productions in Germany of the great Mozart operas on period instruments. His 1991 production of Don Giovanni was awarded the Mozart Prize by the City of Prague. Since 2000 he has led fourteen new productions at festivals in Salzburg, Schwetzingen, Vienna and in the opera houses of Hamburg, Hannover, Cologne and Halle. In 2007 he was appointed Artistic Director of the Reinsberg Festival in Lower Austria, where he has conducted acclaimed productions of Der Freischütz, Fidelio, Hänsel und Gretel and Acis & Galatea. With the American actor John Malkovich and Austrian director Michael Sturminger, Martin Haselböck developed the theatre drama The Infernal Comedy, for actor, two sopranos and on-stage orchestra. The work has achieved extraordinary success, receiving over 100 international performances. Two further stage collaborations with Malkovich and Sturminger have followed: The Giacomo Variations, about Casanova and featuring the music of Mozart; and Call Me God, for actor and organ, to be premiered in March 2017 at the new Hamburg Elbphilharmonie. Martin Haselböck and Orchester Wiener Akademie feature prominently in the recent film adaptation of The Giacomo Variations, entitled ‘Casanova Variations’, directed by Michael Sturminger and starring John Malkovich. The film premiered in the 2014 San Sebastian Film Festival. Martin Haselböck was awarded the Austrian Cross of Honour for Science and Art (das Österreichische Ehrenkreuz für Wissenschaft und Kunst), and, with his Orchester Wiener Akademie, the 2011 and 2012 Hungarian Liszt Prize.